We’ve chosen 10 products we love (tried and tested!) 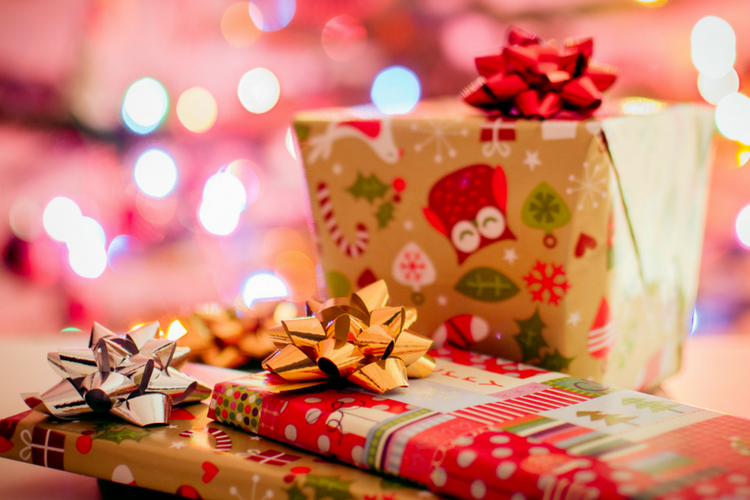 that are bound to make your favourite yogi feel very special this Christmas! Whatever your budget, we’ve got you covered. Just click on the titles to go to their websites. 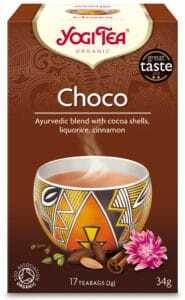 Delicious organic teas, our favourite flavours are the Classic (a combination of traditional Ayurvedic spices) and the Choco, a warming blend of chai spices, perfect for those with a sweet tooth (or if you’re trying to cut down on sugar, a mug can curb cravings) You can buy individually from stores such as Holland & Barrett for £2.29 or Amazon. Our favourite new yoga clothing brand, their legging and bra/top prints are absolutely gorgeous. It’s quite rare to find a bikini set I fall in love with at first sight, but B&B have managed to do just that. Prices start at £29, and they’re having a sale on! Vibrant, versatile yoga blankets that can also be used for the beach, travelling, camping, poolside, and more. 100% recycled, eco-friendly, and each design is limited edition. You can buy them from Amazon for £39-£41. 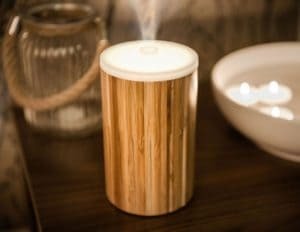 I love this diffuser so much I own two! So elegant, stylish, and the biggest plus, healthy! It has 2 settings, continuous flow or on-off alternating every 30 seconds (perfect if you want it to last all night). At AY headquarters, we can’t work without an energising essential oil on, like peppermint or lime. At night, lavender promotes a restful sleep. For £50, you can get it at Neals Yard or on Amazon. I don’t know about you, but using technology to get organised is nowhere near as effective as having it written down. Give your eyes a rest away from screen time and get your life in order with this beautifully designed planner (weekly, monthly, + yearly view), handbook (Yoga poses, mindfulness, recipes, quotes, etc) and journal all in one. £16.95 from Amazon or their online store. Hand-blended and hand-poured luxurious aromatherapy candles. Free from all chemical nasties, with a 70 hour burn time. The smell is very strong, so you’ll only need it on for 20-30 minutes at a time. 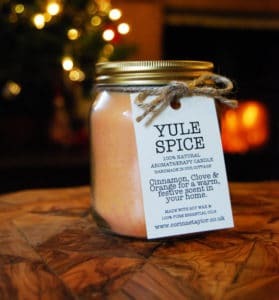 Cinnamon, Orange and Clove essential oils for a delicious festive Christmas scent. They have other scents Inner Peace, Focus, and Purify, but I went for Yule Spice as it’s perfect for Winter time. You can get it from the Corrine Taylor Etsy shop online for £16. Mineral-rich seaweed, and Arnica to help release and soothe sore muscles, which makes for a perfect relaxing bath after a hectic day. Lavender, juniper and pine essential oils elevate your mood. 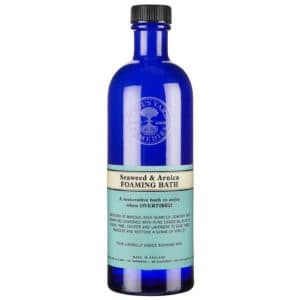 £15.50 on Neals Yard website. Finally, someone designed the perfect yoga shorts for men. No more hippie aladdin trousers, or super tight cycling shorts. These are lined, so there’s no need to worry about them sliding up during a handstand (yikes!). They’re made from quick drying fabric, and are guaranteed to make a stylish yogi very happy! £43 online. 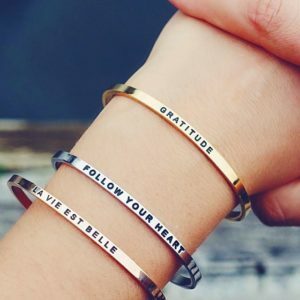 Simple, elegant bracelets with an inspiring message. With so many messages to choose from, you can easily find the right one. They are available to ship from the USA on their website. For the UK, you can also buy them here from £19.95 – £24.95. 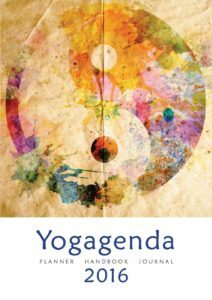 The ultimate treat for the yogi (beginner or advanced) in your life. You can contribute any amount towards a retreat, or go all out and really spoil them with a full retreat voucher. Retreat prices start from £295pp all over the UK and abroad in Sri Lanka, the French Alps, Santorini and Ibiza. Check out our calendar for dates or email info@www.adventureyogi.com and we will sort it all out for you!